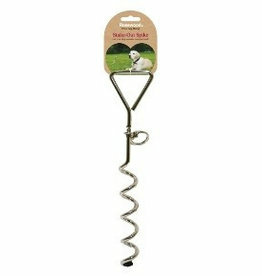 Tie out stakes & cables to keep your dog in one place, ideal for camp sites. Ideal for the garden, park, walking and camping. 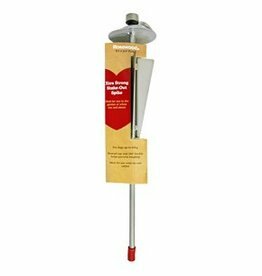 For dogs up to 60 kg. Extra strong. Perfect for the outdoors pet. Excellent quality fittings – rust free coatings. 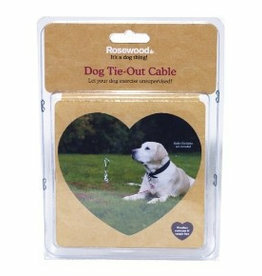 This handy tie out cable is ideal for use in your own garden or out and about with your dog. 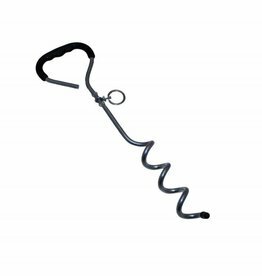 Also ideal for holidays, it provides secure control of your dogs movements whilst still allowing them their freedom. 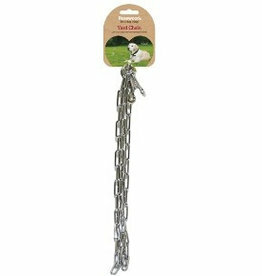 A strong metal link chain designed to attach to posts or spiral stakes, providing secure control of your dog's movements whilst still allowing it freedom.